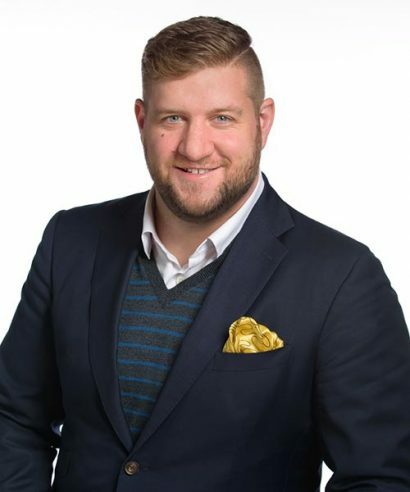 Colin Groth is vice president of programs at StriveTogether, where he provides leadership and strategy for StriveTogether’s programmatic work, including impact, advancement, learning and evaluation for the Cradle to Career Network. The son of a public school librarian, Colin has always been passionate about the improvement of educational outcomes for all young people. Before joining StriveTogether, Colin served as the government relations director for Southwest Ohio Regional Transit Authority, where he oversaw the organization’s government affairs, served as liaison to elected officials and government bodies, and developed relationships with local business and civic groups to advance public transportation issues. Colin holds a bachelor of arts in communications (interactive communications processes) from Ohio State University, where he also completed the Goodlinks nonprofit management internship program. He is the former president of the Charter Committee of Greater Cincinnati; a graduate of the Cincinnati USA Regional Chamber’s C-Change leadership development program and the City of Cincinnati’s Citizen’s Government Academy; an alumnus of 40 under 40 awards for both the Cincinnati Business Courier and Mass Transit Magazine; and an Eagle Scout (Troop 502). A trucker (or a Transformer). What was your favorite subject in school OR Who was your favorite teacher in school? Physics; Mr. Carroll (also my chess coach). What is your favorite memory as a student? I’d say my favorite memory as a student actually came through learning about leadership and service through the Boy Scouts. I also learned a lot about prejudice by fighting internal battles within the troop around allowing participation for ALL boys regardless of sexual orientation. What’s something you’ve learned to do an adult? Anywhere I can take my bike!